Chanting and drumming sessions remove subtle energy blockages and balance your chakras. Our chakras—the seven energy centers located from the base of the spine to the crown of the head—govern every aspect of our health and consciousness. Resting in the lower chakra is the primordial life force of kundalini. 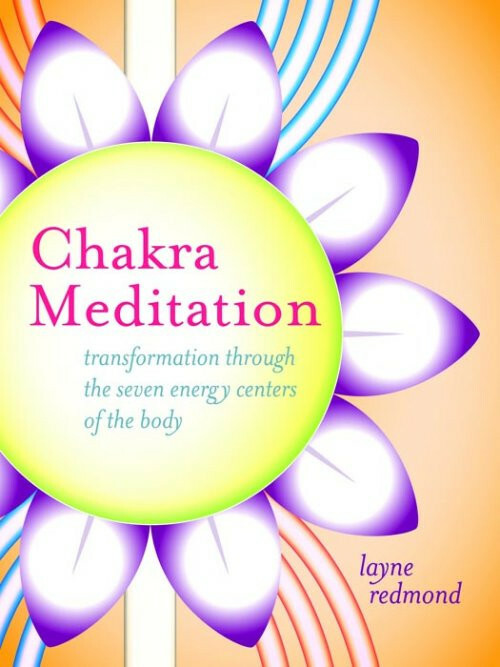 With Chakra Meditation, Layne Redmond presents a complete program for awakening kundalini and bringing its cleansing, revitalizing energy up through all seven of your chakras. Combining five traditional yogic techniques—visualization, breathing, postures, sacred sounds, and meditation—Redmond provides a safe and effective system to tune each chakra and open you to inner sources of inspiration and personal power. Ever since I was a child, I have always been thrilled by the great books about Yoga as they not only pointed to the incredible possibilities of being human, but showed us how to awaken and realize these potentials. This is such a book. Layne Redmond is an authentic yogini, a brilliant scholar, author and a gifted artist and musician. Her keen intellect has a depth of curiosity and sincere interest that takes her research to the very heart of the matter. I know. I was one of the people she grilled while writing this book and my library of rare and sacred yogic texts was thoroughly examined. Layne has also spent her life studying and practicing yoga in several traditons with true yogis such as Yogiraj Swami Bua and Hari Dass Baba, among others. It was with great joy as I read through this well written and fascinating book. Layne has created another classic for my library. This is one of those books that saves you from reading a whole bunch of other books as Layne has thoroughly done the research and tied it all together. It is a fascinating book and easy to read. But this is a book for true yogis, for yogic practitioners. It not only tells you all about the chakras from several points of view, including the psychological and scientific ones, but also how to safely practice this powerful yoga. Layne very clearly delineates the why and how of the practices within the book, and then leads you through them on the CD that accompanies the book. Layne has a soothing and inspiring voice that comes from her many years of teaching and performing. Reading the book gets the reader excited about awakening the incredible potentials within the chakras. Listening to Layne on the CD is the guru safely guiding you through these effective and powerful yogic practices. And then there are the awesome, full page pictures of each chakra and the whole chakra system with the three major nadis, or psychic nerves. They are beautiful!